The Wednesday Call Live (TWC) for October 24, 2012: Andy Albright is coming at you live from a special National Agents Alliance HotSpot Meeting in Boston, MA! 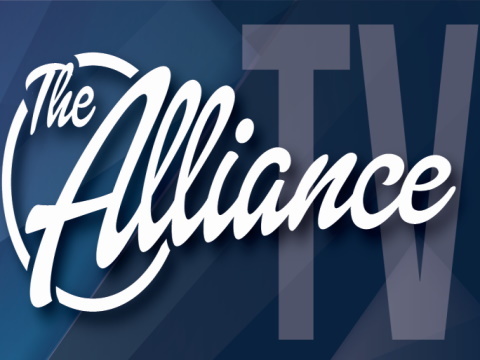 Tune in to get all of today's great info from Andy, and many of the Alliance's other top performers! The Live Show will air again on November 7, 2012 at 12:30 PM ET. The Wednesday Call Live (TWC) for October 24, 2012: Andy Albright is coming at you live from National Agents Alliance Headquarters in Burlington, NC! Tune in to get all of today's great info! The Live Show will air again on October 31, 2012 at 12:30 PM ET (Halloween!). The Wednesday Call Live (TWC) for October 17, 2012: Andy Albright hosts a live conference call and meeting from National Agents Alliance Headquarters in Burlington, NC! Andy's live show covers all kinds of great topics, including training, information on team building, new developments that are in the works, and frank discussions with your fellow agents (beginner and top level managers alike!). If that wasn't enough, the live show also provides motivation and encouragement that will help get you fired up and ready to roll! Be sure to tune in and take advantage of the great info in todays Wednesday Call. The Wednesday Call Live (TWC) for October 10, 2012: Andy Albright is coming at you live from National Agents Alliance Headquarters in Burlington, NC! Training, team building, and a lot of special visitors today on Andy's live show (Foresters, Fitz, and more!). Tune in to get all of today's great info! The Wednesday Call Live (TWC) for October 3, 2012: Andy Albright hosts a live conference call and meeting from National Agents Alliance Headquarters in Burlington, NC! Andy's live show covers all kinds of great topics, including training, information on team building, new developments that are in the works, and frank discussions with your fellow agents (beginner and top level managers alike!). If that wasn't enough, the live show also provides motivation and encouragement that will help get you fired up and ready to roll! Be sure to tune in and take advantage of the great info in todays Wednesday Call. The Live Show will air again on October 10, 2012 at 12:30 PM ET. The Wednesday Call Live (TWC) for September 19, 2012: Andy Albright hosts a live conference call and meeting from National Agents Alliance Headquarters in Burlington, NC! Andy's live show covers all kinds of great topics, including training, information on team building, new developments that are in the works, and frank discussions with your fellow agents (beginner and top level managers alike!). If that wasn't enough, the live show also provides motivation and encouragement that will help get you fired up and ready to roll! Be sure to tune in and take advantage of the great info in todays Wednesday Call. The Live Show will air again on September 26, 2012 at 12:30 PM ET. The Wednesday Call Live (TWC) for September 12, 2012: Andy Albright is coming at you live from National Agents Alliance Headquarters in Burlington, NC! Training, team building, and surprise visits from top agency managers are all common themes for Andy's live show. Tune in to get all of today's great info! The Live Show will air again on September 19, 2012 at 12:30 PM ET. The Wednesday Call Live (TWC) for September 5, 2012: Andy Albright hosts a live conference call and meeting from National Agents Alliance Headquarters in Burlington, NC! Andy's live show covers all kinds of great topics, including training, information on team building, new developments that are in the works, and frank discussions with your fellow agents (beginner and top level managers alike!). If that wasn't enough, the live show also provides motivation and encouragement that will help get you fired up and ready to roll! Be sure to tune in and take advantage of the great info in todays Wednesday Call. The Live Show will air again on September 12, 2012 at 12:30 PM ET. The Wednesday Call Live (TWC) for August 29, 2012: Andy Albright is coming at you live from National Agents Alliance Headquarters in Burlington, NC! Training, team building, and surprise visits from top agency managers are all common themes for Andy's live show. Tune in to get all of today's great info! The Live Show will air again on September 5, 2012 at 12:30 PM ET. The Wednesday Call Live (TWC) for August 22, 2012: Andy Albright hosts a live conference call and meeting from National Agents Alliance Headquarters in Burlington, NC! Andy's live show covers all kinds of great topics, including training, information on team building, new developments that are in the works, and frank discussions with your fellow agents (beginner and top level managers alike!). If that wasn't enough, the live show also provides motivation and encouragement that will help get you fired up and ready to roll! Be sure to tune in and take advantage of the great info in todays Wednesday Call. The Live Show will air again on August 29, 2012 at 12:30 PM ET. The Wednesday Call Live (TWC) for August 15, 2012: Andy Albright is coming at you live from National Agents Alliance Headquarters in Burlington, NC! Training, team building, and surprise visits from top agency managers are all common themes for Andy's live show. Tune in to get all of today's great info! The Live Show will air again on August 22, 2012 at 12:30 PM ET. The Wednesday Call Live (TWC) for August 8, 2012: Andy Albright hosts a live conference call and meeting from National Agents Alliance Headquarters in Burlington, NC! Andy's live show covers all kinds of great topics, including training, information on team building, new developments that are in the works, and frank discussions with your fellow agents (beginner and top level managers alike!). If that wasn't enough, the live show also provides motivation and encouragement that will help get you fired up and ready to roll! Be sure to tune in and take advantage of the great info in todays Wednesday Call. The Live Show will air again on August 15, 2012 at 12:30 PM ET. The Wednesday Call Live (TWC) for August 1, 2012: Andy Albright is coming at you live from National Agents Alliance Headquarters in Burlington, NC! Training, team building, and surprise visits from top agency managers are all common themes for Andy's live show. Tune in to get all of today's great info! The Live Show will air again on August 8, 2012 at 12:30 PM ET. The Wednesday Call Live (TWC) for July 25, 2012: Andy Albright hosts a live conference call and meeting from National Agents Alliance Headquarters in Burlington, NC! In today's live show, Andy discusses how to use the level maps to find out where new agents are in the LLC process and how to encourage them, and to recognize individuals who are at and moving up in the levels. He also describes how to keep a positive focus, what books to talk about, and how to talk about association by using the 8 Steps to Success. Andy also touches on phone scripts (that can found in the Green Book), and the follow up and follow through process. In closing, he presents some great information and examples of how just using good manners can help you excel in terms of both your personal and professional actions! Be sure to tune in and take advantage of the great info in todays Wednesday Call. The Live Show will air again on August 1, 2012 at 12:30 PM ET. The Wednesday Call Live (TWC) for July 18, 2012: Andy Albright is coming at you live from Reno, Nevada this week! Great information about Rotational Meetings and their agendas, Fall Forward events, and developing your new people. Tune in to get all of today's great info! The Live Show will air again on July 25, 2012 at 12:30 PM ET. The Wednesday Call Live (TWC) for July 11, 2012: Andy Albright is coming at you live from National Agents Alliance Headquarters in Burlington, NC! Andy's live show covers all kinds of great topics, including training, information on team building, new developments that are in the works, and frank discussions with your fellow agents (beginner and top level managers alike!). In this week's show, along with other items, Andy covers all kinds of great information regarding Rotational Meetings. What to talk about, how to keep a positive focus, going over the leaderboards, how to recruit and provide association. All kinds of great details that can help you to leverage the power of Rotational Meetings to their fullest. Be sure to tune in and take advantage of the great info in todays Wednesday Call! The Live Show will air again on July 18, 2012 at 12:30 PM ET. The Wednesday Call Live (TWC) for July 4, 2012: Andy Albright is coming at you live from National Agents Alliance Headquarters in Burlington, NC! Training, team building, and surprise visits from top agency managers are all common themes for Andy's live show. Tune in to get all of today's great info! The Live Show will air again on July 11, 2012 at 12:30 PM ET. The Wednesday Call Live (TWC) for June 27, 2012: Andy Albright hosts a live conference call and meeting from National Agents Alliance Headquarters in Burlington, NC! Andy's live show covers all kinds of great topics, including training, information on team building, new developments that are in the works, and frank discussions with your fellow agents (beginner and top level managers alike!). If that wasn't enough, the live show also provides motivation and encouragement that will help get you fired up and ready to roll! Be sure to tune in and take advantage of the great info in todays Wednesday Call. The Wednesday Call Live (TWC) for June 20, 2012: Andy Albright is coming at you live from National Agents Alliance Headquarters in Burlington, NC! Training, team building, and surprise visits from top agency managers are all common themes for Andy's live show. Tune in to get all of today's great info! The Live Show will air again on June 27, 2012 at 12:30 PM ET.